Lahaina is a charming town of rich historical significance. As the former capital of the Kingdom of Hawai‘i, Lahaina boasts 62 historic sites—all easily accessible on Lahaina Historic Trail. Look for the bronze plaques affixed throughout 55 acres of Lahaina and set off on your journey to the past. En route, you’ll see designated National Historic Landmarks around and down Front Street. Points of interest include the Wo Hing Japanese Temple, Lahaina Jodo Mission Buddhist Temple and The Baldwin Home, the former residence of Protestant missionaries, circa 1830s. Relive the whaling, missionary and plantation days of 1800s Hawai‘i. If you prefer to take the tour with an informative guide, visit the LAHAINA VISITOR CENTER, located in the OLD LAHAINA COURTHOUSE. Visit LAHAINA RESTORATION FOUNDATION’S website to learn more: lahainarestoration.org/ lahaina-historic-trail. Craving more authentic Hawaiian history? Visit the KA‘ANAPALI BEACH HOTEL, which has gained widespread recognition for its efforts to infuse HAWAIIAN TRADITIONS into its guest experience. 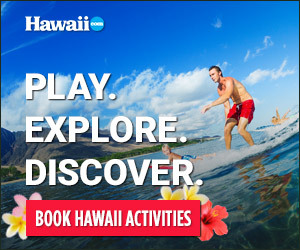 Most of the hotel’s executives were born and raised in Hawai‘i; in fact, 50 percent of them are NATIVE HAWAIIANS, and a staff of CULTURAL ADVISORS conducts daily HAWAIIAN-FOCUSED ACTIVITIES. You also will find Hawaiian singers and hula at nightly performances. Service is delivered under the Hawaiian principle of ho‘okipa (hospitality), sharing the warmth of the island spirit. A stay at the Ka‘anapali Beach Hotel is a unique experience, one that offers a glimpse of the “true Hawai‘i.” To learn more about “HAWAI‘I’S MOST HAWAIIAN HOTEL,” log on to kbhmaui.com.